Rilee & Lo's gender-neutral Apple Watch bands fit like a glove. 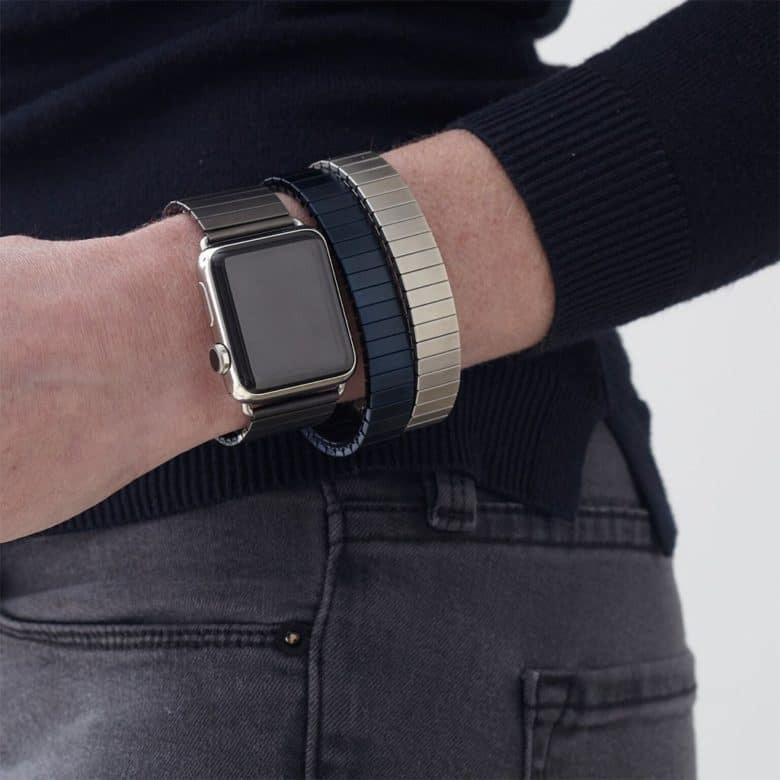 Fusing tech and fashion is the cornerstone of Rilee & Lo, designers of stylish stainless steel accessories for Apple Watch. We recently reviewed their beautiful Apple Watch bands, which proved to be a hit with readers. Taking Rilee & Lo’s fashion ethos a step further, and at customer request, we’ve added something a little different to Cult of Mac’s Watch Store — stacking bracelets! On trend this fall, stacking bracelets are everywhere — it’s not uncommon to see women with two, three and four bracelets adorning their wrists in different styles, textures and colors. Made from the same stainless steel as its gender-neutral Apple Watch bands, Rilee & Lo’s stacking bracelets are a comfortable, easy way to punctuate any outfit. Check them out in the Watch Store. Made of stainless steel with stunning finishes including gold, rose gold, silver, black and navy in shiny or matte. Mix and match and stack in shiny and matte — wear all by itself or with a Rilee & Lo Apple Watch band. Constructed of stainless steel, Rilee & Lo bracelets come in five gorgeous finishes including gold, rose gold, silver, black and navy in either matte or shiny. The matte finish matches that of Rilee & Lo Apple Watch bands. The shiny finish bracelets add polish and luster. Johanna Ferguson founded Rilee & Lo to fill the style deficit she encountered with the strap accompanying her first Apple Watch in 2015. Armed with 14 years at Google and a decade of jewelry-making experience, Ferguson moved to design a band that could go seamlessly from day to night in high style. The stacking bracelets come in two sizes: S/M (2 inches/50 mm in diameter) or M/L (2.5 inches/64 mm in diameter). The bracelet itself is 12 mm wide. Rilee & Lo provided Cult of Mac with review units for this article. See Cult of Mac’s reviews policy; and check out more stuff we recommend in our Best List reviews.